GFW announced its decision this morning to strip Alberto El Patron of his Unified World Championship which would seem to indicate he will not be appearing at the television tapings this week. Sources in the promotion had told us that the decision had not been made over the weekend. Because they are taping television through the end of October, everything leading to Bound for Glory, if Alberto is not at television, and it appears he won't be, all the main event plans would have to be changed and a new champion would have to be crowned. Ed Nordholm would have been the person with the final say on this matter and we had heard that even though Alberto was cleared of all charges regarding the Orlando Airport incident, that his long-term behavior had been a concern. The company released a statement: "GFW has concluded its internal consideration of the events surrounding the suspension of Alberto El Patron. While it is apparent that initial reports unfairly characterized El Patron's involvement in the incident in the Orlando airport, we are nonetheless disappointed with the manner in which he dealt with this situation, we expect more decorum from all on the GFW roster, especially the World Champion." We have communicated with El Patron our decision to strip him of his championship title. 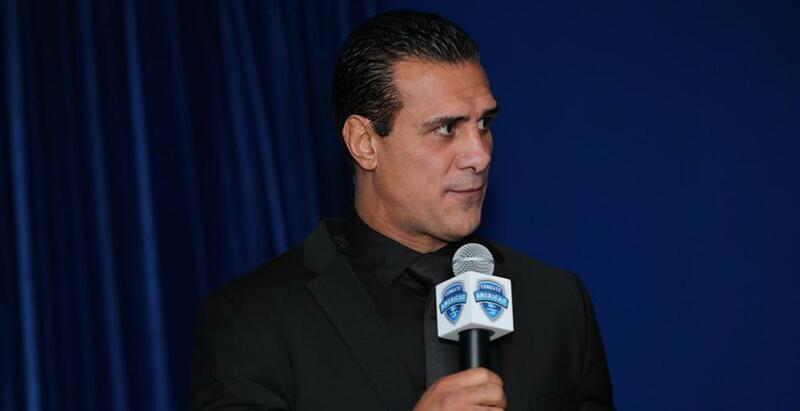 No decision has been taken as to the date on which he will be reinstated to the roster, the conditions of which are a private matter between the company and El Patron." One would expect an announcement in the next few days regarding the filling of the championship, which would likely take place at the tapings that start on Thursday with an almost-live show. As noted this past week on Wrestling Observer Radio, John Morrison will be brought in for television this week for a top position.